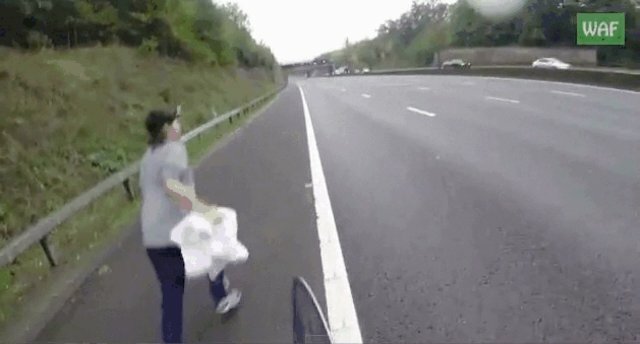 Wildlife Aid Foundation (WAF) in Surrey received a call from The Highways Agency about a Canada goose who was scampering along a busy highway with what appeared to be an injured wing. Volunteer rescue veterinarian Cristina and volunteer rescuer Ron worked with The Highway Agency to temporarily stop traffic so they could find the goose in the brush on the side of the road. 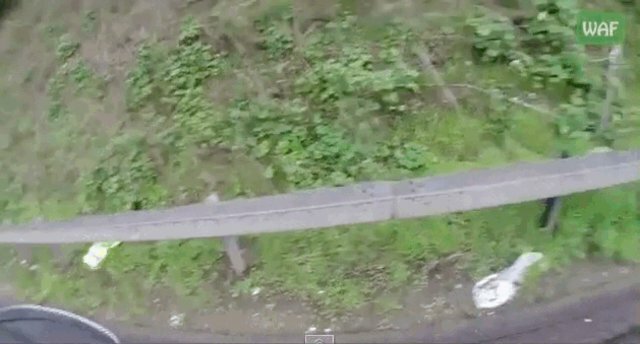 Rescuers were concerned that if that traffic had continued, the discombobulated goose would wander into the busy highway. Fortunately, after some rummaging through the trees, the rescuers were able to grab the frightened goose and extricate him from the bushes. Shortly afterwards, the goose found himself in the car on the way to the Wildlife Aid facilities for a checkup. The feathered fellow remained admirably calm, considering his circumstances and injury. Cristina examined the goose after he was brought in to WAF's hospital. 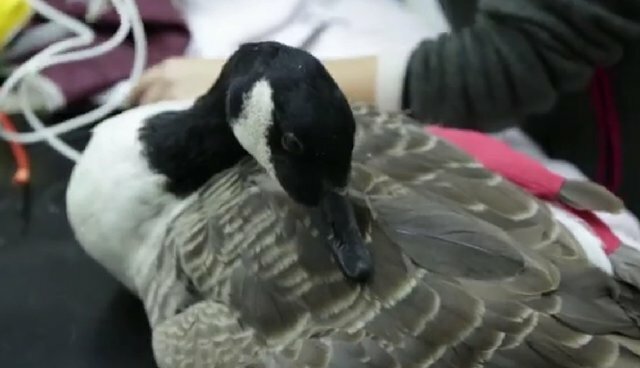 Though the goose is in stable condition, it's unclear if he will be able to fly again. "We took those X-rays, and the fracture's just horrendous, no way we're gonna be able to do any surgery on it," says Cristina. "We'll put a splint on it, hope it heals and forms a callus, and maybe there's a chance we can get him back to the wild."